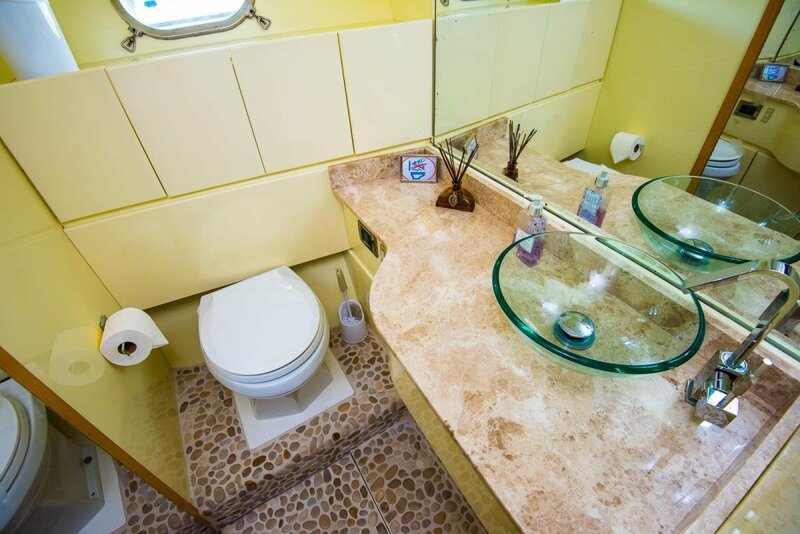 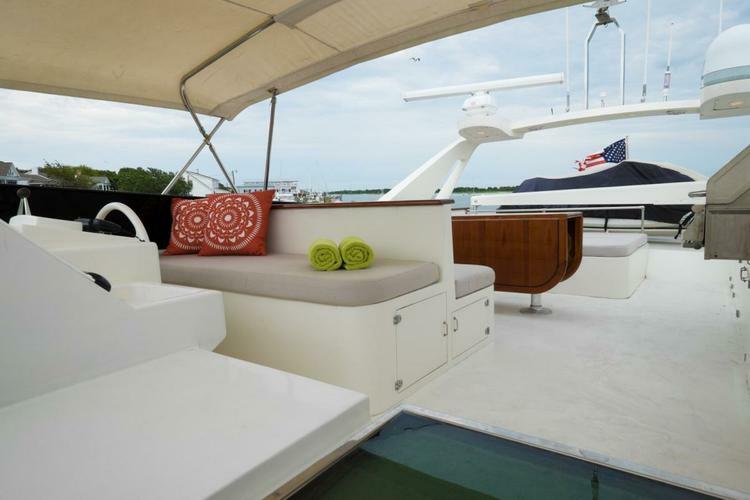 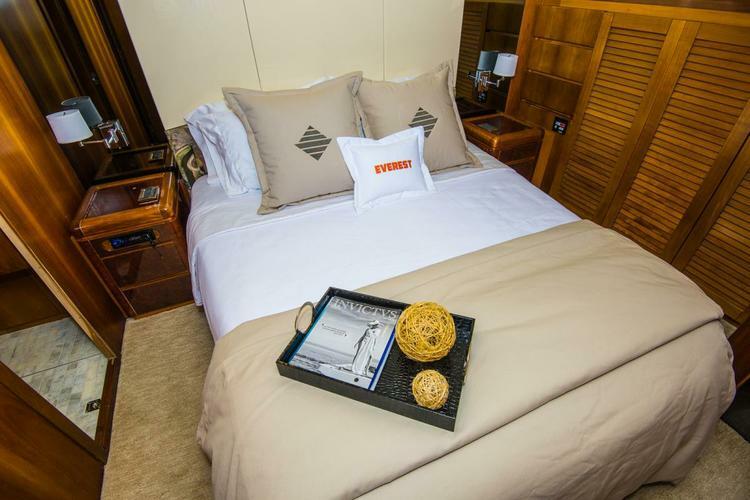 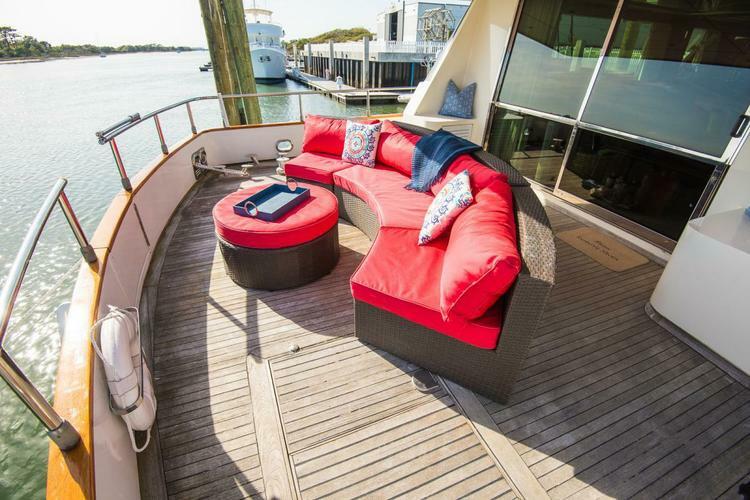 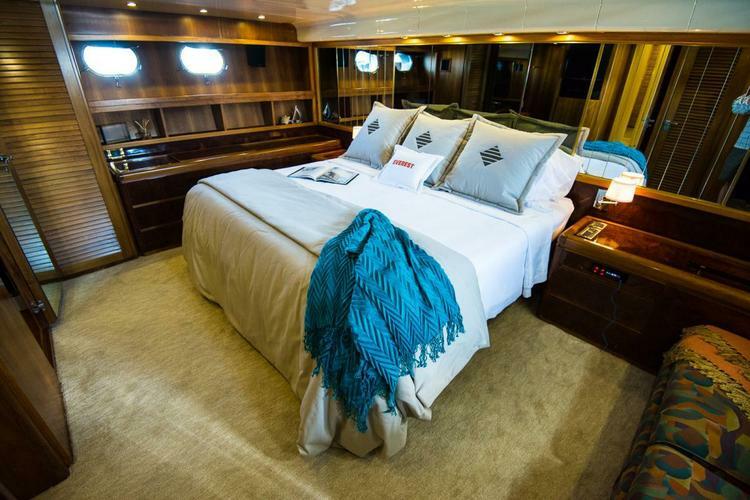 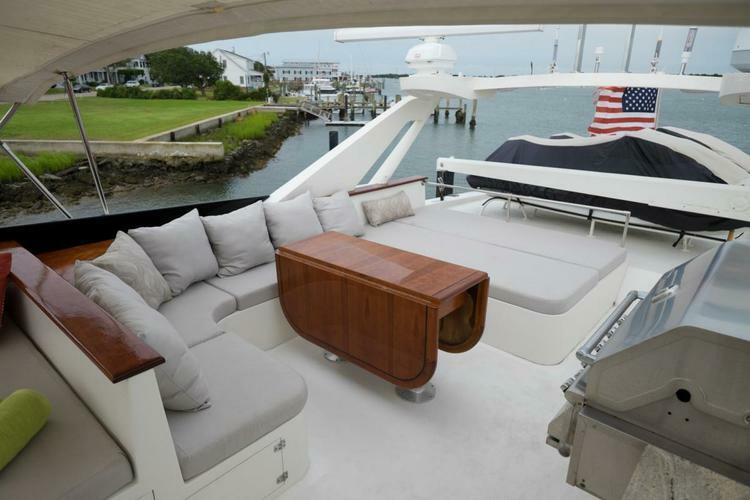 Hello and thank you for taking the time to consider staying aboard the 80′ San Lorenzo Motor Yacht. 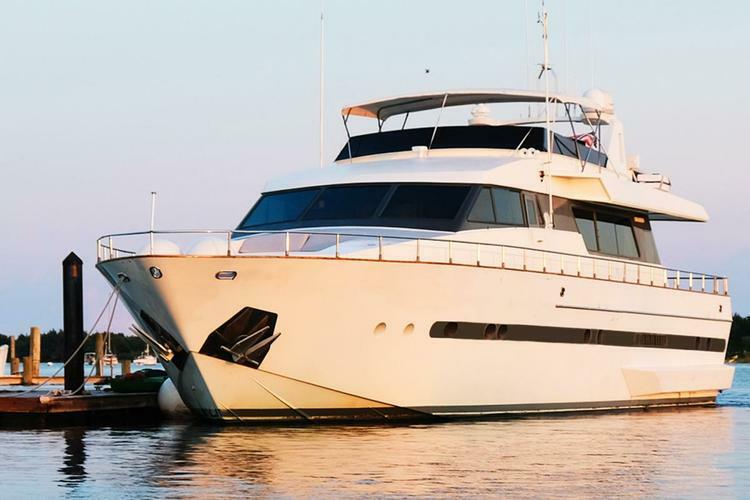 Dan and Kelly are happy to host you while you stay in “America’s Coolest Small Town,” Beaufort, NC. 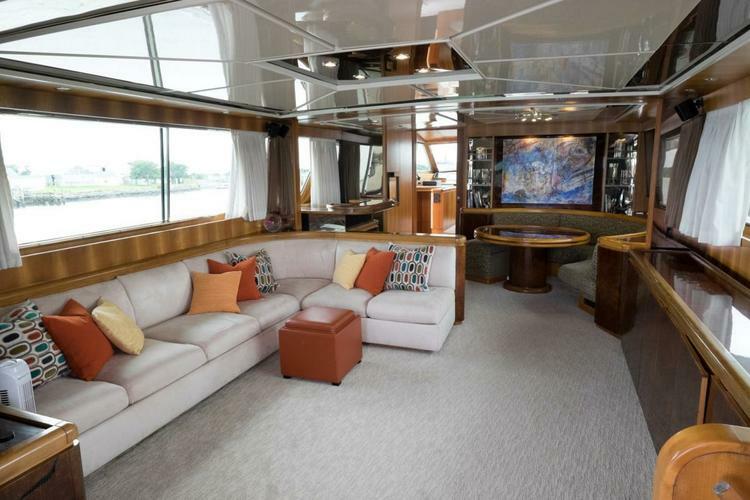 This Italian motor yacht is just finishing a major modernization including all new carpeting, new flat screen TV’s, new outdoor upholstery, new fixtures, tile floors, and granite counters in the heads (bathrooms). 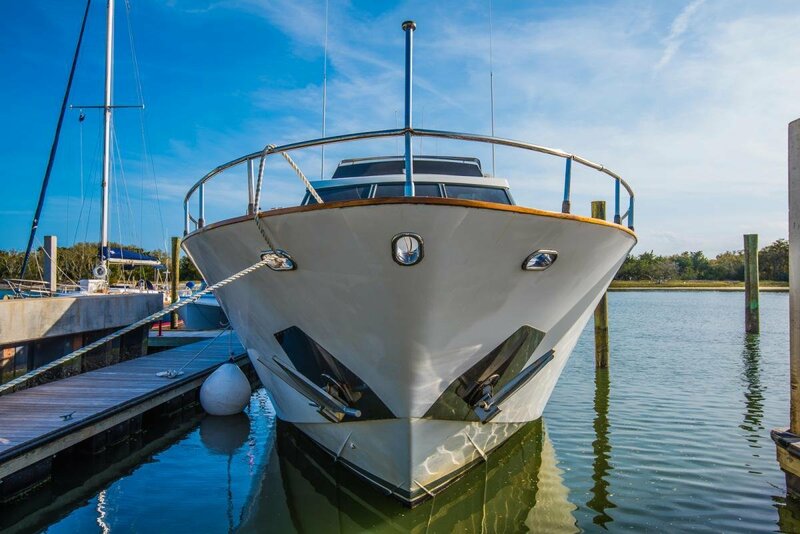 Usually this boat operates around Beaufort, NC.